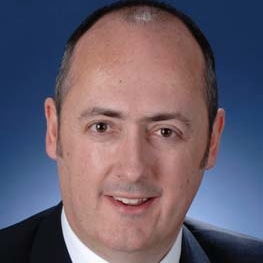 Lachlan Strahan has been Deputy Head of Mission at the Australian High Commission in New Delhi since February 2009. A senior career ofﬁcer, Dr Strahan joined the Department of Foreign Affairs and Trade in 1993. He has previously served overseas as Second Secretary at the Embassy in Bonn (1995-1998) and Counsellor (Political) at the Embassy in Seoul(2002-2005). In Canberra, Dr Strahan has worked in a range of positions. He was Assistant Secretary of South and West Asia Branch (2008-2009), Assistant Secretary of Images of Australia Branch (2006-2008), Director of the China Economic Section(2005-2006) and Director of the Chemical and Biological Disarmament Section. (2001-2002). Dr Strahan has a Bachelor of Arts degree with Honours from the University of Melbourne and a PhD from Monash University. He is the author of Australia’s China (1995) and Day of Reckoning (2005). Dr Strahan is married with two children.